Since 2012, the American Eagle Foundation has provided over $600,000 in funds in the form of Eagle Grants to organizations and individuals who are working to help us better understand and conserve Bald Eagles. Each year, a team of Bald Eagle experts ranks proposals and recommends to the AEF which projects should get funded. Several leaders of these projects are associated with the Raptor Research Foundation, a professional group dedicated to the study and conservation of raptors, or birds of prey. 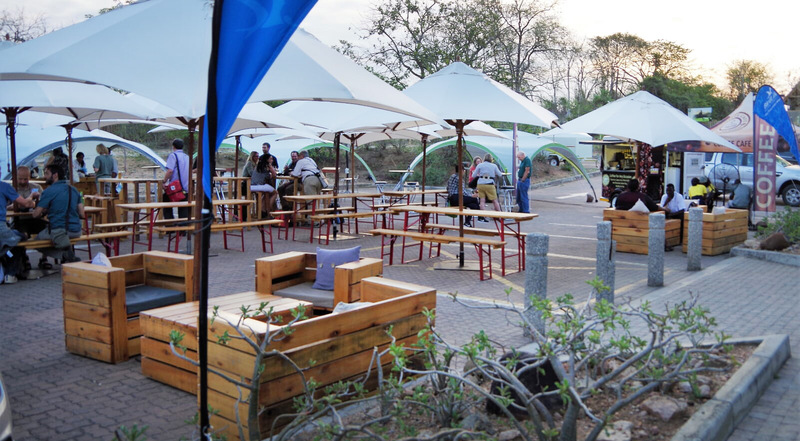 This year (2018), the annual Raptor Research Foundation meeting was held November 12-16 in Kruger National Park, South Africa. This unique venue enabled raptor experts from all over the world to attend and share their work. The representatives of the AEF were excited about the opportunity to share the scope of our conservation efforts on a world-wide stage, and to learn about conservation efforts involving eagles in other parts of the world. 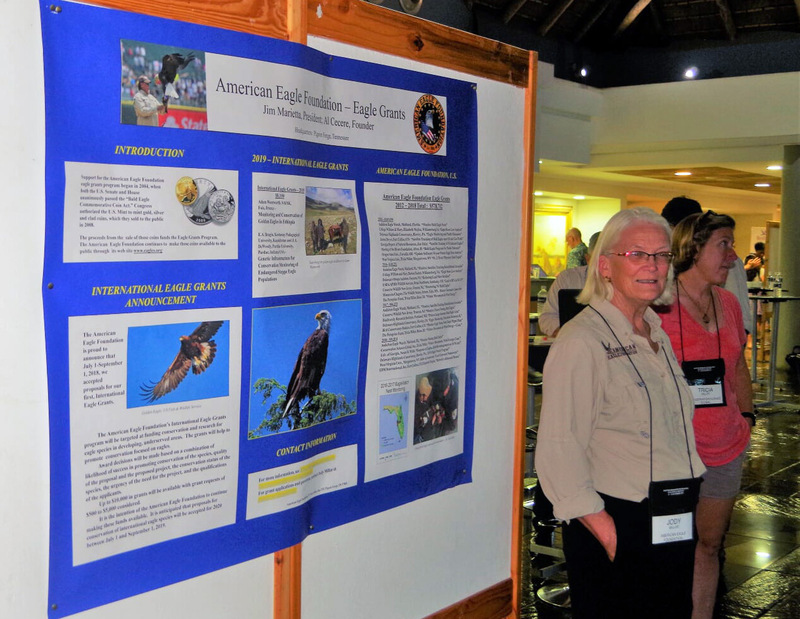 Jody Millar, the American Eagle Foundation Eagle Grants Coordinator and retired biologist (US Fish & Wildlife Service) attended and represented the AEF. Having just returned, she shares some of her reactions and experiences with us. We landed at Skukuza airport next to Kruger National Park in northwest South Africa early in the afternoon. The airport was attractive, but tiny, serving one or two flights a day. 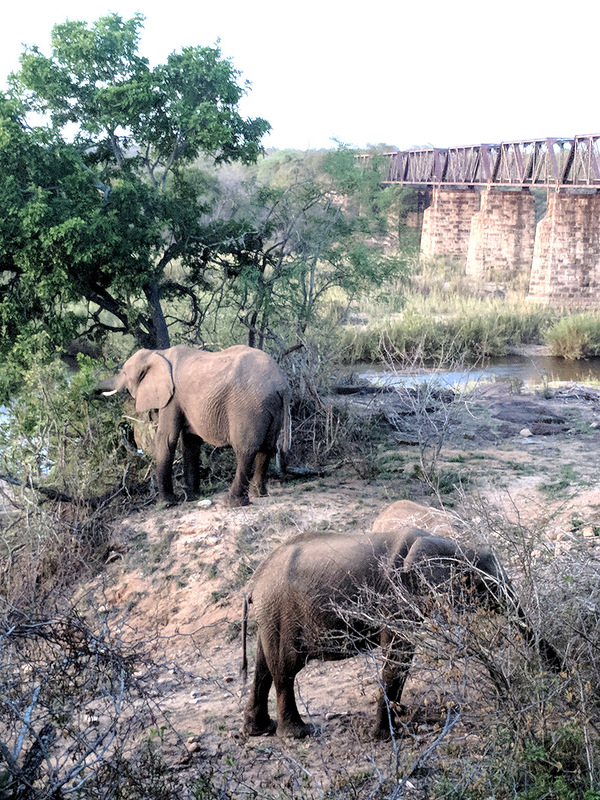 A man greeted us with the paperwork for our car rental, and after a few signatures and a walk around the car, we were left to find our way to Skukuza Camp in Kruger National Park. With map in hand, we managed to find our way to the accommodations, which was only about four miles on paved road from the airport. 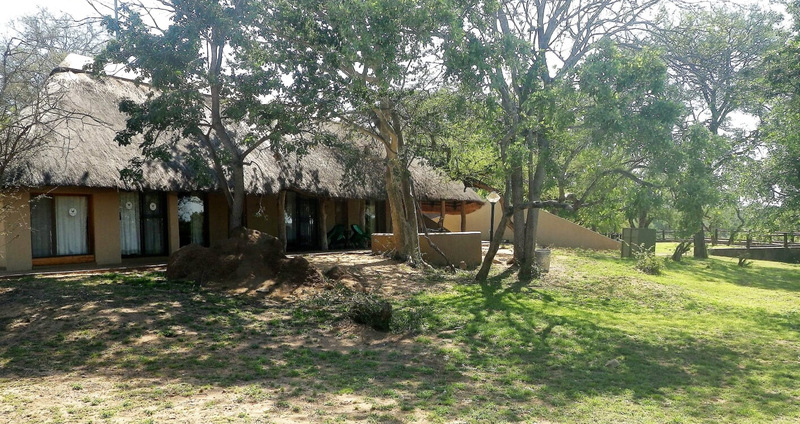 Skukuza Camp is the largest and oldest facility in Kruger Park, and is similar in quality to what we would find in our parks. There were many tent sites and cabins for lodging, designed in African style with low overhanging roofs and round huts. Kitchen facilities were often communal, open air with a roof. The entire camp facility, including restaurant, store, convention center, etc. are enclosed by a fence to keep park animals from wandering through the area. The gate to the facility closes in the early evening, so only guided groups can leave after that time. The multi-family cabin where Jody stayed. Skukuza Camp is situated on a river that contains some of the only running water at that time in the entire 7,500 square mile park (more than twice as big as Yellowstone National Park). Thus, animals are concentrated in the area seeking water. Elephants grazing by the river. We saw elephants using the river daily along with several deer-like animals. Vervet monkeys were common within the facility, and one had to be careful to not leave food out, or the monkeys would descend upon your picnic. Picnic tables outside the convention center provided a place where people could meet and talk and have refreshments. So, the walk from our river front cabin to the convention center where the Raptor Research Foundation meeting was being held was very interesting. The program for the meeting offered talks by raptor experts from all over the world. Because several talks were going on at any one time, you had to make the hard choice on which ones to attend. Many talks were presented on vultures since Old World Vultures, as the group is referred to, is the most endangered raptor in the world due to effects from poison-baiting carcasses, and other issues. Talks on eagles included such species as Crowned Eagles, Martial Eagles, Long-Crested Eagles and Golden Eagles. The focus of the talks included many of the same issues facing our North American eagles, such as energy development and human encroachment. Several talks were given on Bald Eagles by researchers sponsored by the American Eagle Foundation. I was able to talk with the AEF-sponsored researchers and they all expressed gratitude for the support AEF had given them for their work with Bald Eagles. Vincent Slabe is one such researcher. He is finishing his PhD at West Virginia University on a nationwide study quantifying lead mortality to eagles. His preliminary work was presented at the meeting and highlights areas of the country where lead ingestion by eagles is concentrated. We look forward to seeing his conclusions. Returning to my cabin, I was touched by seeing a familiar looking bird. The bird is very bald eagle-like, with white head and tail, but the white on the head extends through the neck and bib. The bird is slightly smaller than our Bald Eagle, but is included in the same genus, Haliaeetus. The African Fish Eagle, as the bird is known, fished from the bridge over the river near our camp, just about every morning. I attended a talk on the African Fish Eagle. It turns out that it is a very aggressive bird. Every effort to release rehabilitated birds back into the wild have failed due to aggression by nearby African Fish Eagles. The people working with the eagles did not know the cause of the aggression, but theories provided for interesting discussion. In addition to the presentations, several trips were offered to view nearby wildlife. I was able to join several of the safaris and they were breath-taking. By staying safe in the vehicles, we were able to approach the animals at remarkably close – which meant, lots of pictures were taken! Even on our drive back to the airport we saw elephants, many impalas, a warthog, and a few water buffalo – and one last glimpse of the African Fish Eagle. 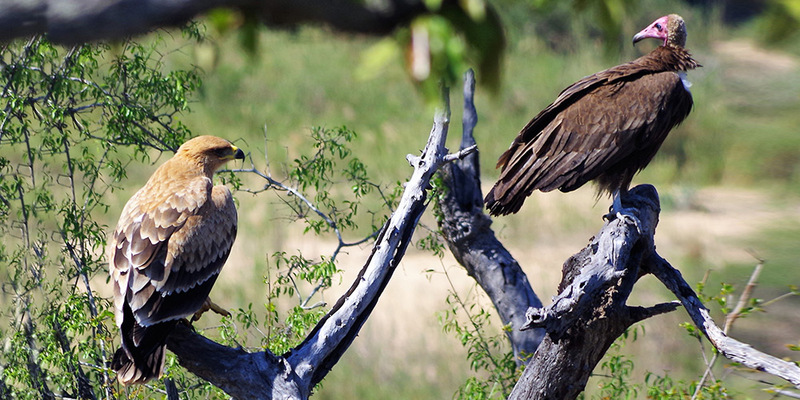 Tawny Eagle and Hooded Vulture. Old World Vultures are the most endangered raptors in the world, and face numerous threats in their lives, including poisoning. 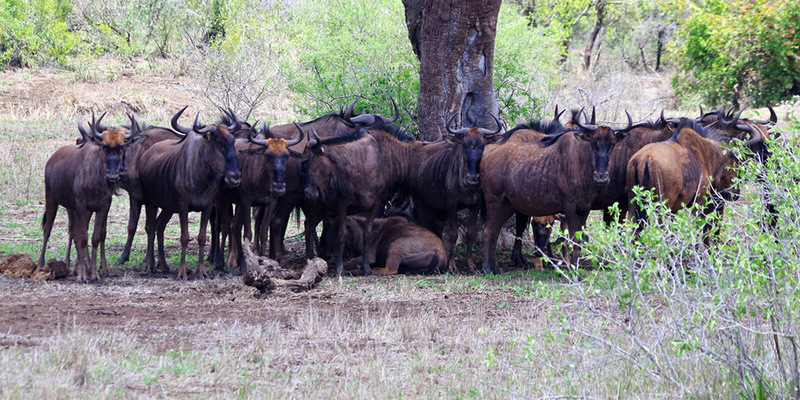 Wildebeests are gregarious herbivores, and live in herds ranging from 10 to a few thousand individuals. 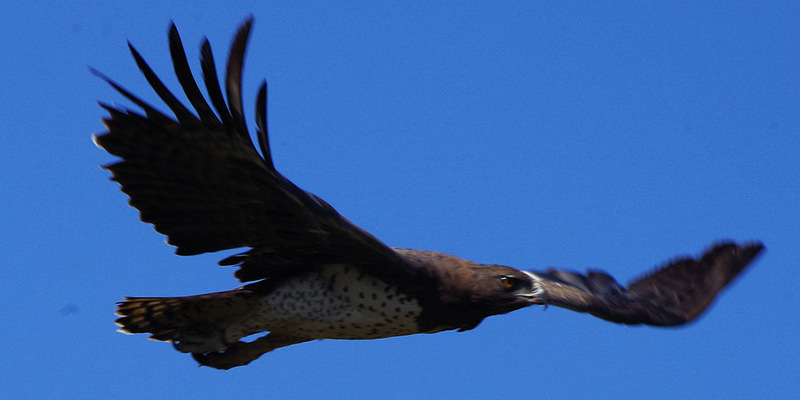 The Martial Eagle is the largest of the African eagles and incredibly powerful, capable of knocking an adult man off his feet. 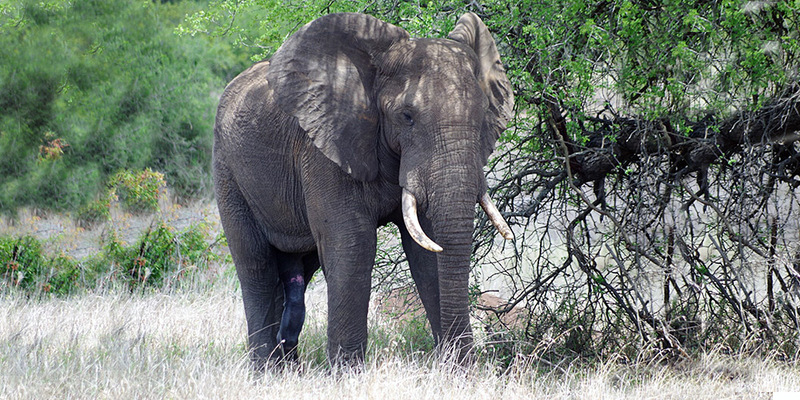 The Kruger National Park protects large herds of elephants. One of the "Big Five," elephants are the largest land mammal, weighing up to 7 tons. 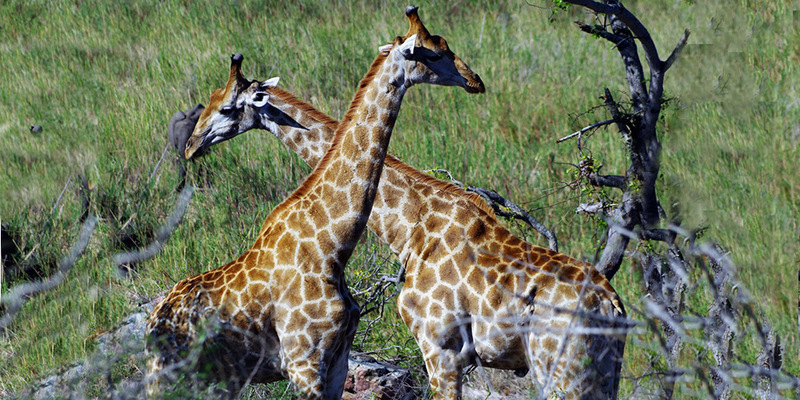 Giraffes are the tallest animal in the world, reaching a height of 18 feet! Their extremely long neck has necessitated a very complex circulatory system not yet completely understood. 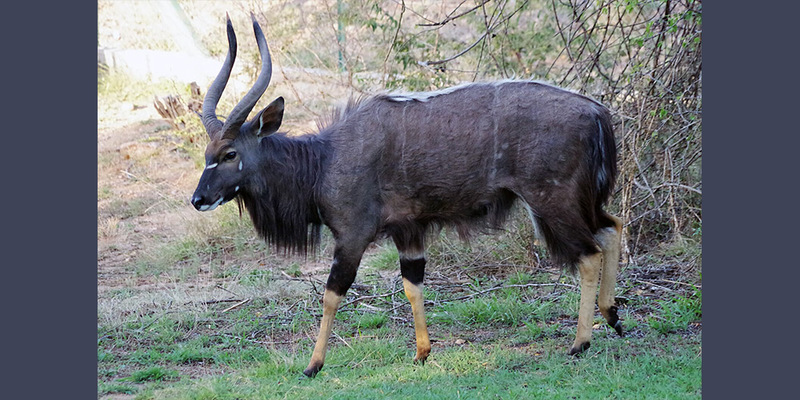 Nyala, a spiral-horned antelope native to southern Africa. 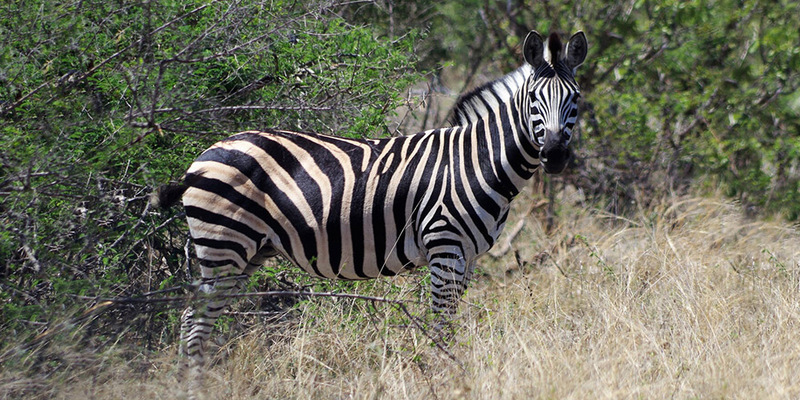 No two Zebra have the same striping, as in fingerprints in humans the stripes of Zebra are unique to an individual. 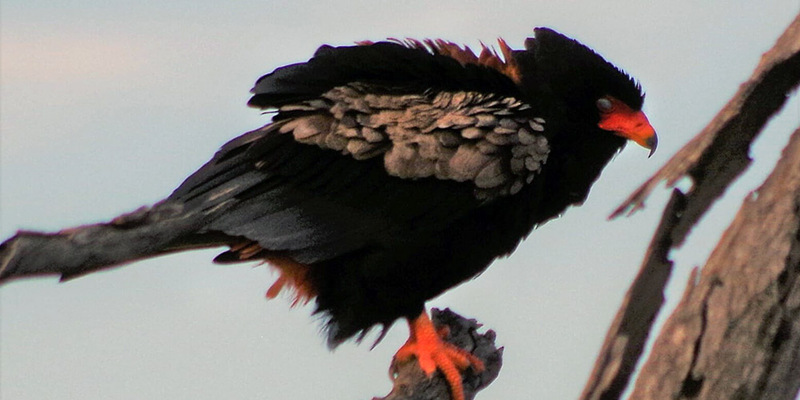 The Bateleur eagle is the most famous of the snake eagles. Its pitch black feathers with white under the wings, bright red face and legs and black beak are characteristic markings. 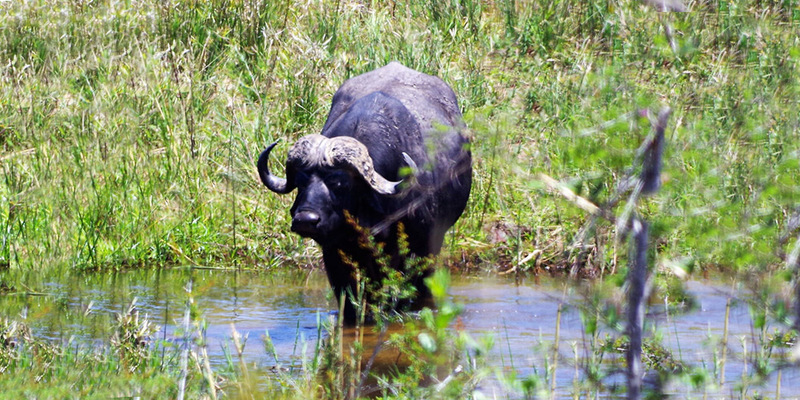 A large and powerful bovine, the African Buffalo reaches shoulder heights of up to 4 feet and a mass of 1,653 lbs. It is considered one of the "Big Five" mammals. 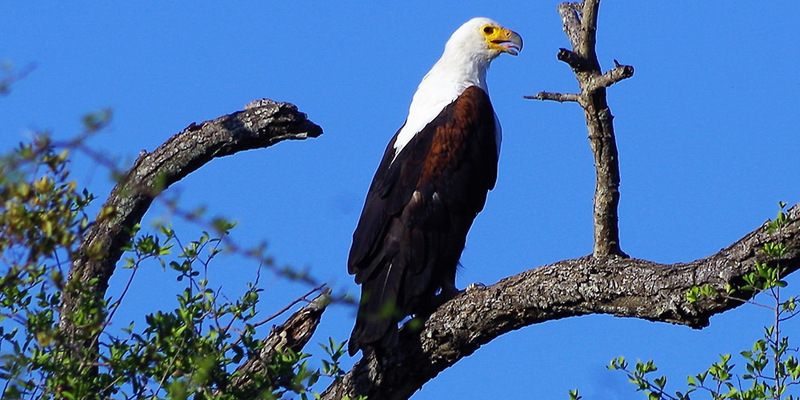 The African Fish Eagle, as the bird is known, fished from the bridge over the river near our camp, just about every morning. This year, in recognition of the International Raptor Research Conference, The American Eagle Foundation is funding two projects working to conserve world eagles. The projects are a population assessment of the Steppe Eagle of Kazakhstan, and a population study of the Golden Eagle in Ethiopia. This support for these two projects is in addition to the many projects we are funding to conserve and protect Bald Eagles.